I've always been fascinated by single driver loudspeakers. They promise a more natural reproduction as they don't need a crossover, using a single driver for the whole frequency range instead. And crossovers are a source of problems in loudspeakers, perhaps even THE source of problems. 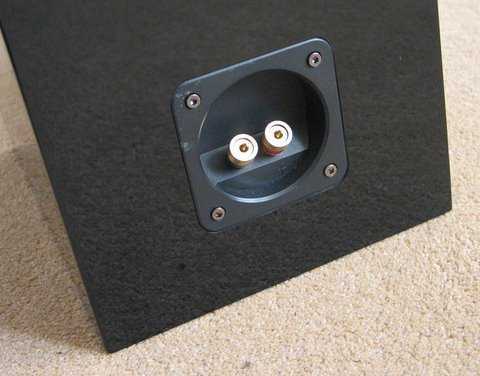 That's not to say that you cannot produce good loudspeakers with a crossover, of course, but there will always be some problems caused by the fact that the music will have to be split in two or more parts and reproduced by several drivers. The fact that these drivers will never share the same location, and the additional distortion and phase problems added by the crossover makes it very complicated to design a good loudspeaker that way. Using just a single driver solves all this but, of course, introduces other problems instead. The main difficulty is getting the whole frequency range from a single driver. Bass drivers need to be able to shift air while tweeters need to be light and small. Doing it all with the same driver means that the frequency extremes will inevitably suffer, but also that the rest of the spectrum could potentially be much better than with a 'normal' speaker. Strangely enough, most single driver speakers are quite expensive. It's probably the small market for such a speaker that causes this, but also the technical challenges involved. In principle, of course, such a speaker could be simplicity itself: just a box with a driver, and nothing else. In practice it takes quite a bit of complex technology to make it work. It is a balancing act, with a gain in one area always resulting in losses somewhere else. That one driver doing all the work had better be a very good one, otherwise the concept won't work at all. When I first found out about the Aurousal speaker, I was intrigued. Here was a really simple design that was relatively affordable, looked good, and used a traditional stand-mount ported enclosure. This could be a real alternative to a normal compact speaker. It even has decent bass extension, on paper, and good sensitivity at 90 db/watt. As bass and sensitivity are usually mutually exclusive in this sort of speaker, I was quite curious to find out more about them. They certainly look very good, especially in the piano black finish that my review samples came in. They are a bit bigger than I expected, but still look very stylish without dominating the room. Build quality is excellent too, with perfect finish and good terminals. The nice looking driver was designed by Ted Jordan and utilises a 'flex-contoured' cone, basically meaning that it is thinner than other cones and will not be rigid, enabling vibrations to ripple through it in a controlled way. It's also said to have a smaller effective diameter for higher frequencies. One last note about the finish. Although the piano black looks great, I found it scratches very easily and even the smallest imperfections show up clearly on the high gloss surface. So, unless you are going to be very careful with them, I would recommend against this version and go for the wood finishes, which are also more affordable. 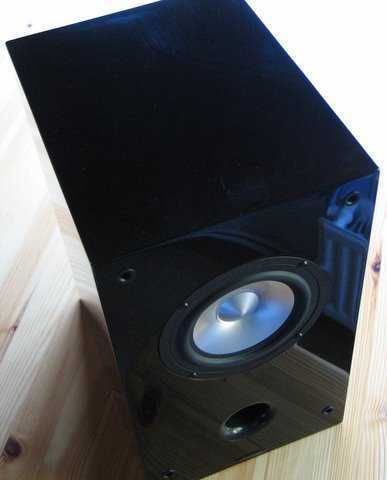 Aurousal do promise a bass reproduction that is only 3 db down at 44 Hz, but in practice these speakers are a little bit bass shy, and the first impression is a sound that is rather thin, lacking some warmth and substance. It is also immediately clear that the midrange is unusually detailed and transparent. The highest frequencies are the only region that sounds more or less as expected. 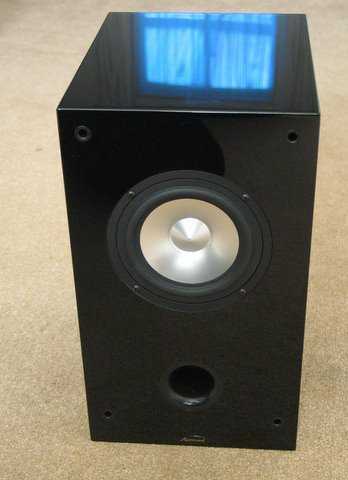 In all, the presentation of these little speakers is very different to my floorstanders, and it does take some getting used to before the qualities of the A1's really shine through. During the first few hours my impression was mostly dominated by the lack of warmth. It is the remarkable midrange that kept me listening and trying CD after CD to find out how they would sound on the Aurousals. It was a strange experience, and even after several hours I still had difficulties predicting what would sound good on them. In general they seem to like warm and relaxed recordings, like Lou Reed's 'Transformer' and Oscar Peterson's 'We get requests'. With these two CD's the A1's manage to sound very natural, relaxed and actually almost warm. But don't try something that relies on a bit of bass slam (Red Hot Chilli Peppers come to mind), because they simply cannot deliver. Which also brings me to the topic of volume. I didn't expect these to go loud, but I was actually surprised at how loud they could still go. Nothing even close to party levels, obviously, and they weren't a match for my big Dynaudio Contour 1.8 mk2 floorstanders, but they could go more than loud enough for me. I don't play that loud, to be honest, and didn't think these speakers would limit me in this respect. I have to add that my room isn't very big. The 9 cm driver is somewhat directional for the higher frequencies, making it a little bit brighter when they point directly at you. This also has the effect of transporting you more to the recording acoustic than bringing the musicians to your room. I guess it is a matter of taste, but I preferred the Aurousal speakers with more toe-in than usual, where the two beams actually crossed about half a meter in front of my listening seat. They do sound a bit softer, more spacious and warmer that way, at least in my room. I did use them with the Cambridge Audio 740c and Naim CD5x CD players, my Django transformer preamp and my Electrocompaniet ECI-2 amplifier, used as a power amp. The soundstage was excellent, as you would expect with single driver speakers, but I do have to say that it wasn't that much better than with my Dynaudio's. The A1's have excellent focus and very good separation between instruments and the soundstage is pleasantly large and realistically proportioned. They just don't have the bottom end to suggest hall acoustics like a bigger speaker can, leaving the music a bit disembodied and floating in space instead of coming from a real acoustic. Even after several days of exposure, I still missed some warmth, authority and scale. I did notice that the bass was very 'fast' and rhythm wasn't suffering as much as I would have expected. Bass drum, for example, has a lot of punch. But going back to my Dynaudio’s still did feel like stepping in a warm bath. Initially the Dynaudio’s would sound almost bass heavy, but very soon the added weight and substance did confirm that the Aurousals are absolutely missing something in the bass department. Cello, for example, lacks body while piano, although very convincing in the middle and higher frequencies, simply sounds thin and small at the bottom end. Pushing the speaker all the way back to the wall does help a little, and doesn't introduce boomyness or other problems, but I didn't manage to find a location where they would produce enough bass for my liking. Of course, they could benefit from the addition of a good subwoofer, an option I sadly couldn't try out, as I haven't got one. As whatever bass is there is well controlled, I wouldn't be surprised if they would work very well with some bass assistance. These speakers are difficult to judge, as they do have one very clear shortcoming and some very obvious talents. They simply don't produce enough bass, but otherwise they are very good indeed, certainly for the price. It would be a serious mistake to dismiss them after a short listening session. They are quite unique in their presentation and offer an unusual mix of strengths and weaknesses. Listen for a bit longer and you will start appreciating these little speakers. 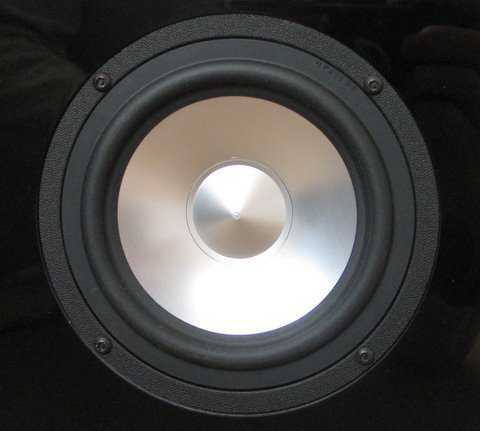 Listen for longer still, and you will start noticing shortcomings in other 'traditional' loudspeakers. For example, the higher midrange of my Dynaudio’s was now exposed as being a little bit harsh. My ears had got used to the clean, crossover-free sound of the A1's and going back to a two-way system proved the point. I still prefer my Dynaudio’s overall, I have to say, but I also have to add that they were almost 4 times the price of the little A1's. The strongest point of these speakers is their midrange, which is truly excellent. It makes these speakers something really special. The amount of detail in voices, for example, is just fantastic. It gives a clarity to the whole picture that is very refreshing and works wonders for well recorded vocals. There's a closeness and intimacy to the sound that can be mesmerising on occasions. Piano is also very enjoyable, as these speakers handle transients very well. The attack on a piano note is reproduced with very little smear which results in a unique clarity. It does sound a bit analytic, though, with some of the weight and power missing from the lower notes. But what is there is of almost flawless quality. One CD that impressed me particularly was Sarah Vaughan with Clifford Brown (also known as just 'Sarah Vaughan'). If this happens to be your favourite disk, it would almost be worth buying a pair of Aurousals for. Her voice was reproduced with a presence that was absolutely uncanny and it really felt as if she was actually standing in the room. The smallest details were crystal clear and even the tiniest changes in timbre or the slightest accents were reproduced. Better still: it all made sense, as there was a coherence and naturalness to the sound that is rare. It is the sort of transparency that draws you to the heart of the music. Of course, the bass still sounded thin, but the piano was brilliant and with a beautiful tonal purity. Another old chestnut is 'Cooking with the Miles Davis quintet'. Again this was reproduced in an effortlessly convincing way. It's a mono recording, but I swear there's at least as much depth information in it as in any stereo recording, certainly with these little speakers. And again the piano sounds wonderful, not just another piano but an individual instrument with a personality of its own. That fact is that, even without much deep bass, these speakers refuse to sound shrill or aggressive (as long as you keep the volume reasonable), creating a richly coloured and detailed midrange and a superbly integrated top end. At times it even reminded me of the way good vinyl can sound, with a smooth and ear-friendly sound that is more organic and less fatiguing. I do have to add that, with the amount of toe-in that I had chosen, the uppermost frequencies do seem to be weakened a little bit, making treble a bit softer. This worked particularly well with the Cambridge Audio 740c CD player who was also on review at the time. This CD player still has a bit of edge to the sound, which can be tiring on my Dynaudio’s, but worked quite well with the Aurousals, almost compensating for the gentle roll-off at the top end. This would suggest that these speakers want to be used with lively electronics. This is a very interesting speaker and definitely a worthwhile addition to the market. They do lack real bass, but make up for that with a fantastic midrange. They are love it or hate it loudspeakers, though, that will only work well in certain circumstances. But when they do work, they perform exceedingly well. If your room is small, you don't need rock concert volume levels and don't mind a weaker bottom end (or are willing to experiment with subwoofers) these can be excellent speakers that are hard to beat at any price. Just allow a few hours to adjust to them. Recommended, but not without a good, lengthy audition.